"The Bedini SG Is The First, REAL FREE ENERGY MACHINE Released To The Public. It's Been Replicated By Thousands Of Experimenters Globally. The Beginner's Book Reveals The Complete Design And Working Principle, All In One Place. The Intermediate Book Shows How To Apply Tesla's Methods Using John's SPECIAL TRICKS! The Advanced Book Teaches How John Used Low-Drag Generators To Convert Mechanical Energy Into Excess Electricity In His Self-Running Machines! This Trilogy Contains The Most Comprehensive Collection of Accurate Information On REAL FREE ENERGY Methods Available Anywhere!!!" REVEALED: The * ENTIRE * Bedini SG process is laid out in one single place for the first time ever, covering John Bedini's technology from 1984 to the present! WHAT IS A BEDINI SG? 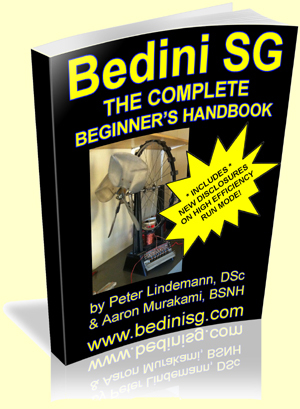 Download this FREE PDF if you don't know what a Bedini SG is or why you need one! 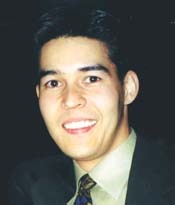 Peter Lindemann, DSc & Aaron Murakami, BSNH, are the founders of A & P Electronic Media, the leading online digital publishing company that makes the most accurate, cutting edge, and advanced energy technology information available to the public. Collectively, we have known John Bedini for over 50 years. Needless to say, during that time, we have seen countless experiments performed by John that are nothing short of breathtaking. Because of this, we have some insights into the inner workings of John's technology that most other people don't have. One project that is definitely near and dear to our hearts is the Bedini SG. The Bedini SG has become a "right of passage" for anyone wanting to learn about REAL free energy methods. The Bedini SG is also the only design in the entire free energy field that has created a global phenomena during the last decade that has stood the test of time. Thousands of people from all over the world have built model after model of the Bedini SG energizers. Unfortunately, some have performed better than others. In Fact, only a small percentage of the Bedini SG builds come close to performing as well as John's. One of the primary reasons for this is that most Bedini SG replication attempts really don't adhere to John's exact instructions. Some people simply look at the schematic and get whatever parts they think will work, put them together, and then wonder why they don't produce spectacular results. This Complete Bedini SG Handbook solves this problem by giving you the most detailed, step-by-step instructions, that have ever been compiled. It gives the exact recommendations on the parts to use, size of wire, etc... By following these instructions, anyone can build a Bedini SG just like John builds his! In addition to the instructions on how to build it, you will see the full explanation of how the Bedini SG circuit actually works. This has never been discussed in this kind of detail before. Theories have been advanced by dozens of people all over the internet regarding their ideas about how the machine works. Here, finally, we explain exactly what John has been trying to explain on the internet for years - how the circuit actually functions! This includes a chapter on BOTH modes of running, including the illusive "Attraction Mode", which can produce superior results in most cases. In the second book,we show you all the * SPECIAL TRICKS * that John uses to match the components and fine tune his machines. It also includes everything you need to know about enhancing your electrical recovery with capacitors and how to properly discharge them into batteries for even more gains. Essentially, you are about to learn Tesla's Method of Conversion, which surprisingly, very few people in the "free energy" field actually understand. In other words, you will learn how to apply miniaturized Tesla Technology to the Bedini SG. You will be walked through the history and chronology of the various capacitive discharge methods that John Bedini has used over the years. You will also learn exactly what he has found to be most beneficial for transferring the most electrical energy possible into the recovery batteries. John Bedini has posted various schematics and explanations on these methods over the years and some of these methods are even shown in his patents. But there has never before been such a comprehensive handbook that walks you through all the methods explaining their strenghts and weaknesses. 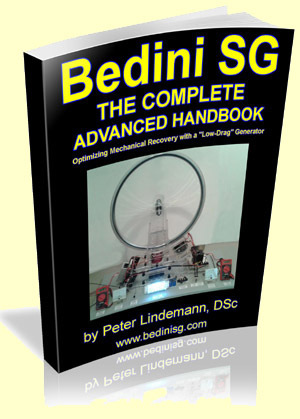 Bedini SG - The Complete Intermediate Handbook will give you all of this including schematics, full details, photographs, never before seen test results, and more. Many experimenters have tried various capacitive discharge methods with various degrees of success. Now finally, for the first time, you can be privy to John Bedini's own preferred methods of how to accomplish this process. 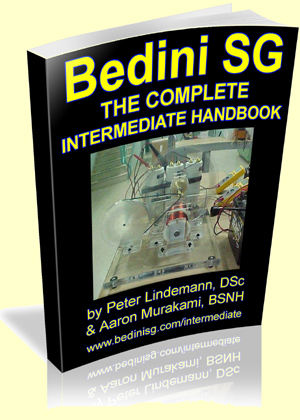 Just like with the beginner's handbook, Bedini SG - The Complete Intermediate Handbook will allow you to get the same results as John Bedini when it comes to his special fine-tuning and capacitive discharge * TRICKS *. Many people have had many questions about how to size the capacitors correctly, what polarity should be switched and with what switching mechanism and so on. All of these questions and more are answered in full detail in this book. Again, finally, we explain exactly what John has been trying to explain on the internet for years - how the capacitive discharge methods work, why and what the benefits are. The third book, Bedini SG - The Complete Advanced Handbook, reveals the final secrets of John Bedini's self-running machines. One of the main revelations of this advanced book is a complete disclosure and analysis of John's low-drag generator designs. This shows you how to convert the mechanical energy of the wheel into excess electrical energy. 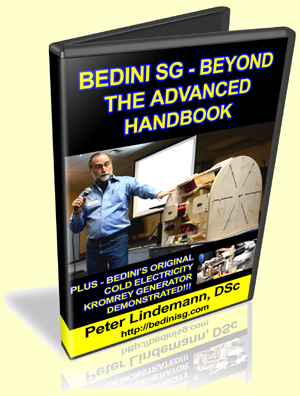 Bedini SG - The Complete Advanced Handbook also includes a complete expose on the famous "Watson Machine" for the first time ever, as well as a detailed analysis of the Kromrey Generator aka "The G-Field Generator." You'll also learn about many advanced designs produced by John Bedini and Ron Cole back in the 1980's that have never been explained before. Methods are disclosed that will take all of your results to the next level by showing you how to get the wheel to reach even higher speeds with lower electrical input with a special switch and advanced tuning method. Included with Bedini SG - The Complete Advanced Handbook is Peter Lindemann's presentation and demonstration from the 2014 Energy Science & Technology Conference. This presentation is the perfect companion to this book and allows you to see many of the principles demonstrated. The advanced book also shows the complete diagram and theory of one of John's special running modes that will allow you to increase the battery charging rate by 100% with only a 50% increase front the input! You can see a brief demonstration of this in the YouTube video below as well an introduction to the entire handbook series. This was the surprise presentation at the 2016 Energy Science & Technology Conference and was delivered by Peter Lindemann. 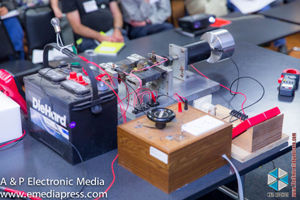 This video has two demonstrations, which include John Bedini's original Kromrey Generator, which hasn't been seen since the 1980's and a specially modified Bedini SG running from a Three-Battery Power Supply with an automatic battery rotator. In the first part of the presentation, I review the specific kind of electrcity, which John Bedini specified in his 1984 Free Energy Generator book, which has been available for the last 32 years. That type of electricity John found was produced by the old automotive DC generators that were in cars up to the early 1950's. This type of generator had the unique ability to rejuvenate a car's battery even if the car has been sitting in the weeds for years. Bedini SG - Beyond the Advanced Handbook then turns its attention to a demonstration for the audience of a recently refurbished model of the Raymond Kromrey Generator that John built in 1983. This unit was demonstrated and metered to produce at least TWICE as much energy as it was drawing from the power supply. This was verified by a number of people who helped from the audience. Many experimenters who have tried to build these machines failed to achieve the results that both Kromrey and Bedini have insisted were possible. Peter goes into the patent text and diagrams and points out the most important KEY features of how to assemble the machine to achieve these results. This presentation is the first time that this KEY has ever been explained to the public! Then, attention was focused on a second demonstration machine. At the 2014 Energy Science & Technology Conference, I demonstrated a Bedini SG machine with one motor coil and one low-drag generator coil. 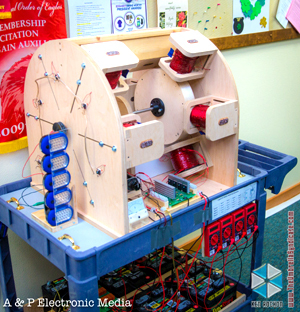 The machine I demonstrated this year has two motor coils and ten low-drag generator coils. A further advance was that the motor section was being powered by a three-battery power supply (Bedini's 3-battery splitting the positive concept) with an automatic battery rotator circuit. This feature allow the machine to run from two batteries, charge a third battery and automatically rotate the batteries around for extremely extended run times. I also explain all the other features of the machine, which you will learn when you get a copy of Bedini SG - Beyond the Advanced Handbook. Everything shown in this presentation was to further demonstrate that all of this infomation was ALREADY given to you in the Bedini SG - The Complete Advanced Handbook. These demonstrations simply show you that what we told you is true. You could venture out on your own and search the internet for all the bits and pieces about the Bedini SG that have been posted over the last 17 years, but it would literally take you thousands of hours, and you still wouldn't know what's important. If your time is worth only $1 per hour, it could cost you many thousands of dollars in time just to hunt it all down. So, what is your time really worth? Who would you rather learn from? All the people trying to figure it out on the internet or directly from the master himself? Obviously, you would pick John Bedini! And we would too! That is why we have presented this material the way John taught us, and in a way that anyone can understand. The only thing that would be better is if John wrote it himself. The real history behind the Bedini SG. The most comprehensive step by step walk-thru of the circuit functions of the Bedini SG. All these steps have never been revealed in one place before. How to optimize energy recovery for the Bedini SG, for superior results. Basic electronics tutorial for beginners, teaching you everything you need to know to successfully build your first Bedini SG. Complete instructions on how to replicate John Bedini's favorite Bedini SG design - exactly! Learn what the Bedini SG is really doing to the batteries when it charges them. A complete set of resources included in the back of the book that relate directly to the Bedini SG project. Complete instructions for fine-tuning the Bedini SG Energizer using John's Special Tricks. John Bedini's personal method for matching transistors - this includes photos, schematics and a complete discussion of the methodology. How to use Tesla's methods to produce not only power gains, but real ENERGY GAINS in your Bedini SG Energizer. The distinctions between Energy Conservation and "Energy Recycling". John Bedini's famous comparator capacitor discharge circuit schematic is proprietary so we can't disclose that, but we do explain what its function is and provide a circuit that can mimick its behavior. Why Tesla did NOT believe that thermodynamic limitations applied to electricty. Find out what model he actually did subscribe to! How to accurately measure the input vs. output of the machine. Understand how John calculates the COP from these measurements. Reveals how to prove that you have a real "FREE ENERGY" machine. Complete instructions for wiring up your Bedini SG for the special mode that lets you get a 100% increase in the battery charging rate with only a 50% increase on the input. How to get your wheel to get to an even higher speed with less input but more output with a simple little tuning trick and switch. How to build John's low-drag generator that lets you power a load with no significant drop in RPM. A complete explanation of how the low-drag generator complies with and circumvents Lenz's Law! First time ever expose on Jim Watson's replication of John Bedini's original Energizer deisgn. This includes dimensions and schematics. Detailed analysis of the operation of Kromrey's Electric Generator design with regard to energy output and low-drag characteristics. Many diagrams relating to John Bedini & Ron Cole's years of collaboration during the 1980's and disclosing for the first time some of Ron Cole's most advanced designs. Included with Bedini SG - The Complete Advanced Handbook is Peter Lindemann's presentation and demonstration from the 2014 Energy Science & Technology Conference. A complete review of the deep history of John Bedini's discovery of the correct waveform needed to charge batteries quickly and rejuvenate them. First demonstration in 30 years of an operational Kromrey Generator built by John in 1983 and KEY information necessary to replicate it! * NEW * Video presentation finally revealing how John Bedini actually wound the coils on his Kromrey Generator. * NEW * Video showing that shorting the coils on the Kromrey Generator's output unloads the prime mover and makes it speed up. This is completely backwards compared to how generators are supposed to work. * NEW * TWO Videos showing Shorting Coil experiments with explanations of how it works, how to get MORE output for the same input, and other related information. * NEW * Video showing how OVER 700 VOLTS was achieved on the output of the Kromery Generator despite its small coils!!! Preview demonstration of a multi-coil machine with an automatic battery rotator allowing it to recycle the energy that it is running on to produce extremely extended run times. First public demonstration of a feature of the circuit that allows you to adjust how much radiant energy is being captured by the batteries! "I have read this now a couple times and have to say, this is essential to anyone wanting to understand this device. I wasn't sure it would be worth the purchase, since I have been studying this for some time. This book is now a critical and valuable asset in my library. The book is very well done and moves away from the false ideas we have heard on the internet for so long. Thank you all for putting this together. The difference between the SG and SSG is wonderful to see. This helps my understanding. Many thanks and the only thing you could have done better, is have this available ten years ago. Well done!" "Tonight I spent the better part of six or seven hours going over the information supplied in this document and I can honestly say it was very well written, easy to read, very informative and highly enlightening, material... I seriously think it is the most valuable free energy document ever released, as it truly establishes a VERY solid foundation to build upon. Thank you to all who made this possible! If you are like me and have spent many hours per day learning, experimenting, compiling information from the internet, dvd's, various written works and so forth, but could not quite get the full handle or understanding of exactly how the SG machine's circuitry worked and or interacted with the other components within the machine, then you cannot miss this one. It is a must have for those who are just starting out and also for those who think they know it all... Best 27 dollars for enjoyment, I ever spent." "Have just opened up the Bedini SG Beginner's Handbook a magnificent presentation with good explanations of the circuit operation. Interesting to find that a steel bike wheel is ok."
"Well Done! Pictured, diagrammed and explained in such a way that anyone that can hold a soldering iron, can build and understand the Bedini Energizer. No electronics expertise required. I have built 5 different units in my endeavors to understand this technology. If I had started with this book, I would have only had to build one. Your complete explanations from basic electron flow to battery chemistry, for experimenters at all levels, helped me through some long standing mysteries that I have been unable to resolve. Thank You. Two more editions for the more advanced? I cant wait. ANYONE considering building a FE device MUST start with this book. Just sayin." "...thanks for the Beginner's Guide. That book is a God send. Anyone that hasn't gotten/read it .... do it. Worth every penny if you want to work with SG's." "Excellent explanation of the process, the cap discharge info and circuit is worth the price alone. I also learned a new word 'edification' (+_+) Thanks for making this info available." "I got my 'Intermediate SG book' very late yesterday and read it in one sitting. I actually went to bed at 3am...but couldn't really shut my brain off. I wanted to sincerely thank you for all your efforts to explain the work you did with John in a manner that makes sense. I am very grateful that you've decided to take on that task and I (we) will be forever in your debt. I am keenly looking forward to your next publication!" "I didn't think it was possible, but the second book is even more enlightening than the first one. You guys never cease to amaze me! I had some success with capacitive discharge methods on my energizer before, but now I see I had a few things wrong! I finally understand where the energy gains are coming from and what John Bedini's mysterious comparator cap dump circuit is doing. This book brought a lot of clarity for me. You guys fricking rock!" "Thoroughly enjoyed the book. Very well written. This is what we needed a very long time ago, but I'm just glad it is here now. My thanks once again to John Bedini, Aaron, Peter, and any others that have contributed to this work..."
"Thank you John, Peter, and Aaron for this series of books! These are a greater resource than I could have imagined, and I am very grateful that you have taken the time to share these amazing discoveries with all of us." "Thank you for all this information, very well and precisely explained!" "I was very impressed with the Beginner's Handbook. It is the perfect summary of how and why John's devices work. Now, the Intermediate Handbook is here. I can't tell you how much I appreciate all your work for creating this second book. I have read a lot of the forums, and this book is the best information I could find." "I just finished the advanced copy of 'Bedini SG Complete Advanced Handbook.' It was everything I hoped it would be. Anyone who has the complete set and cannot figure out how to build an advanced WORKING device had better find a different hobby. It's all there, and you have taken us through it step by step. I can't wait to make all the modifications to my own SG. I was fascinated to learn so much about the history of the Watson device, and I know there were lots of principles explained here that will make me more successful in my own research in this area and help me with devices I am currently building. Thanks so much for the opportunity to review the book." "This final Bedini SG book is the most important, empowering, clean-energy technology book I've seen. Ever! If thousands of skilled techies study it and experiment to learn the science that John Bedini has been trying to gift to the world, we can have a vastly better future. The book is a page-turner too; clear and well written. The energy revolution has begun!" "The Bedini SG Advanced Handbook is fabulous, well written and profusely illustrated with photos and schematics so that scientist, layman and skeptic alike can understand, appreciate and apply what is being presented. The Handbook is not some wild idea, it is the result of facts based on operating hardware, placing free energy in the hands of anyone who wants it." "Bedini SG, the Complete Advanced Handbook continues and expands on the ideas and understandings of the two previous volumes. But it also delves deep into the origins and history of John's energy technologies. Here the reader is led to an enhanced knowledge of machines that operate outside the standard paradigm. 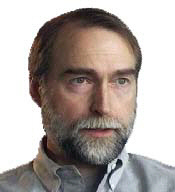 With these new principles, John has designed, built, and tested numerous prototypes that operate at extremely high efficiencies. This book is another step in man's journey to abundance. Highly recommended." "All I can say is WOW!! I sure wish we had all this information when I got started. Clear enough for a beginner, out of the box enough for the advanced to take the SG tech beyond its present state." "Bedini SG, The Complete Advanced Handbook... If you are serious about John Bedini's work you cannot afford to be without this one! This new e-book is the much needed complement and or key to unlock John Bedini's 1984 - Free Energy Generator, including the "Watson Machine". It is my belief that this important release has given me some very powerful insight into the manipulation of Lenz's Law and what it will take to build a proper Energizer that should be able to produce excess energy while powering itself. A very special thank you is in order to John Bedini, Peter Lindemann and any others that have contributed to this publication. It is a true gift indeed!" "So the last Surprise Speaker was Peter Lindemanns two part presentation that closed out the speakers program. Peters speaking style is very unique and humorous, yet informative and thought provoking. He began by dusting of John Bs version of the Kromrey generator and gave a thorough explanation of the working principles of this seemingly simple device that does produce Cold Electricity. Most of the dust was blown off the device when it was fired up and driven by a small dc motor and batteries. The instrumentation during this demo displayed an input of about 1 amp and an output of 6 amps  Peter went on to explain that it is difficult to actually measure this Cold energy  it does not abide by normal standards. Nevertheless the output of this generator has been described by many as impressive. This device is not a toy  it is the real thing. To close out his talk Peter then turned to a two wheel hybrid of the SG that was not yet quite complete for prime time, but did display a number of interesting performance parameters and concepts. First some interesting details: Wheel diameters 12, six magnets per wheel three deep, two motor coils and 10 generator coils. This hybrid uses a 24 volt 4 battery Splitting the Positives arrangement that utilizes the Tesla Switch concept for battery rotation. Not sure about the details of the auto switching part, but it does work as witnessed by the audience. Very sweet news for the huge following of SG fans. The unit, operated in the demo, can achieve 800 plus rpm and since the machine is not fully wired only a small portion of the generator coils were in operation lighting a rather large LED array. You will just have to wait for the final product. This machine incorporates a number of available technologies into one package. The tongue in cheek take away from this most excellent presentation is This machine is not a home power unit. Ha! Thumbs Way Up! THERE ARE THOUSANDS OF PAGES ONLINE RELATING TO THE BEDINI SG. IF YOU AREN'T SURE WHERE TO START, YOU COULD WIND UP SPENDING THOUSANDS OF HOURS MINING THROUGH ALL THE INFORMATION. ALTHOUGH THERE HAVE BEEN THOUSANDS OF REPLICATION ATTEMPTS AROUND THE WORLD AND THE ENERGIZERS DO RUN, ALMOST NONE OF THEM GET THE SAME KIND OF RESULTS THAT JOHN BEDINI HAS ACHIEVED. INVESTING IN THIS TRILOGY IS THE BEST WAY TO GET JOHN BEDINI'S PERSPECTIVE. Get your hands on a copy of the "BEDINI SG - THE COMPLETE HANDBOOK SERIES" right now. Then get comfortable and take some time to study it and see for yourself if this isn't the most powerfully effective material you have ever seen on the subject. And don't rush. You have a full two months to thoroughly soak up the implications of what you are seeing. If within 60 days, BEDINI SG - THE COMPLETE HANDBOOK SERIES hasn't convinced you that the impossible is possible... or if you're unsatisfied for any reason at all! Simply write me an e-mail saying so and I'll return your investment ASAP. You don't have to explain why and I'm not going to ask any questions. There's no hard feelings. It's no hassle and no problem. Take that as my promise to you. You have up to 60 days to check out BEDINI SG - THE COMPLETE HANDBOOK SERIES to see if it has broadened your horizons when it comes to advanced energy technologies -- risk free! Get Your Hands On A Copy of BEDINI SG - THE COMPLETE BEGINNER'S HANDBOOK AND/OR BEDINI SG - THE COMPLETE INTERMEDIATE HANDBOOK AND/OR BEDINI SG - THE COMPLETE ADVANCED HANDBOOK - OR - THE COMPLETE TRILOGY Now! BEDINI SG - THE COMPLETE HANDBOOK SERIES Now! Peter & Aaron, I'm ready to add this incredible one-of-a-kind HANDBOOK on the BEDINI SG to my library right now! Give me BEDINI SG - THE COMPLETE HANDBOOK SERIES now so I can start enjoying and benefitting from the knowledge right away. 1 Hour 29 Min EXTRA BONUS videos - 4 are available on YouTube for free but there is 1 that is only available in this package that is * REQUIRED * if you ever want to build the Kromrey correctly! These were just added Feb 5, 2018 at NO EXTRA COST. Your details will never be shared, period. Just like you, we dislike SPAM with a passion too! P.S. Will you do us a favor? Get BEDINI SG - THE COMPLETE HANDBOOK SERIES right now and study it carefully. Then decide if these books don't share the most straight up information on the Bedini SG at ANY price! 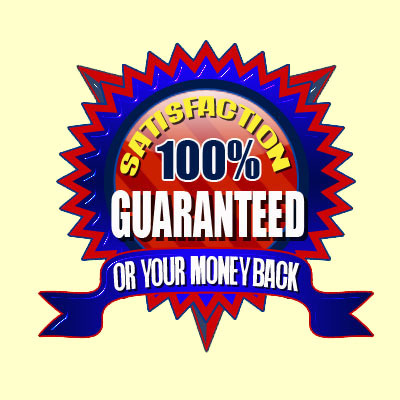 This product is guaranteed to meet even your highest expectations. 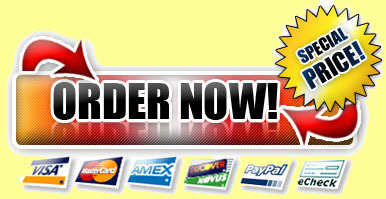 ClickBank is the retailer of products on this site. CLICKBANK® is a registered trademark of Click Sales, Inc., a Delaware corporation located at 917 S. Lusk Street, Suite 200, Boise Idaho, 83706, USA and used by permission.